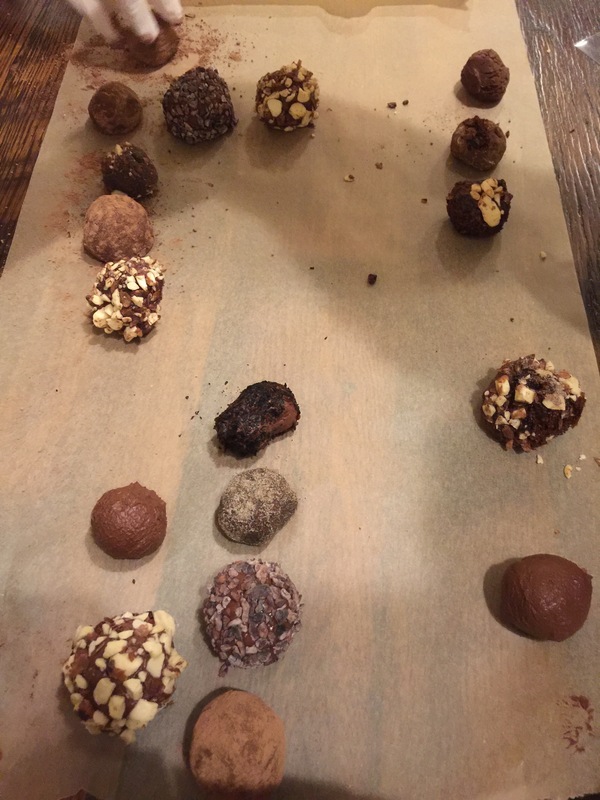 I’ve made truffles once before; they turned out smooth and decadent, but they were on the softer side and would lose their shape quickly. I brought all my questions to class and learned lots of important tips and tricks. 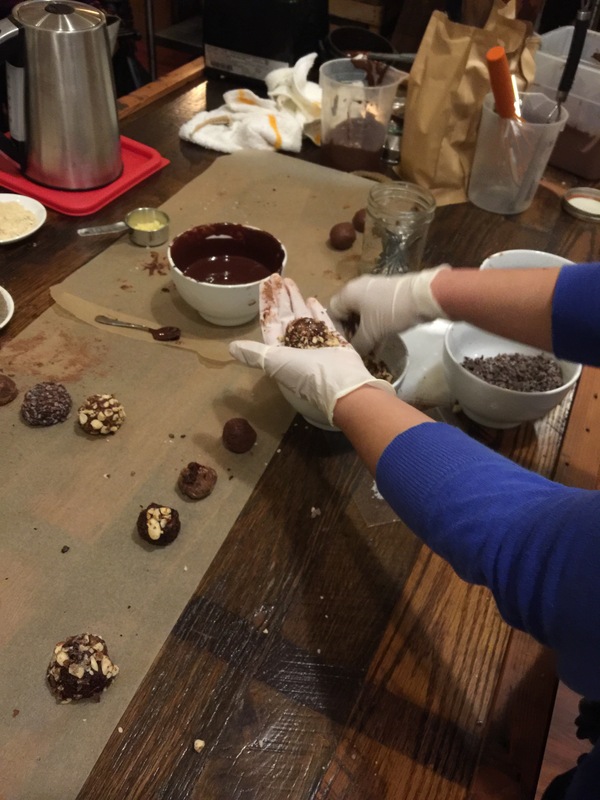 We even learned some truffle making hacks like making the ganache in a blender with a heat gun instead of using a double boiler, and using an infrared thermometer to read the ganache’s temperature instead of a candy thermometer (it’s way cooler!). 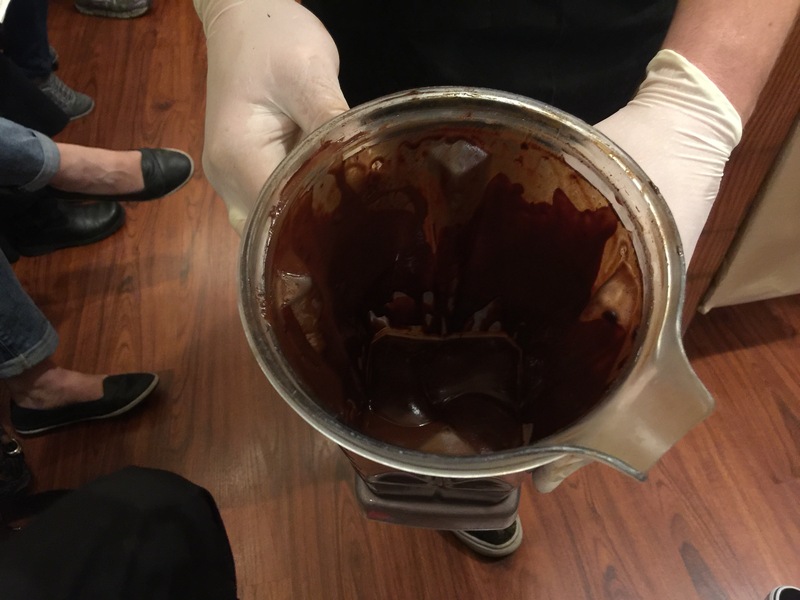 Brian demoed how to make ganache and he brought some premade/precooled ganache for the hands-on part of class. 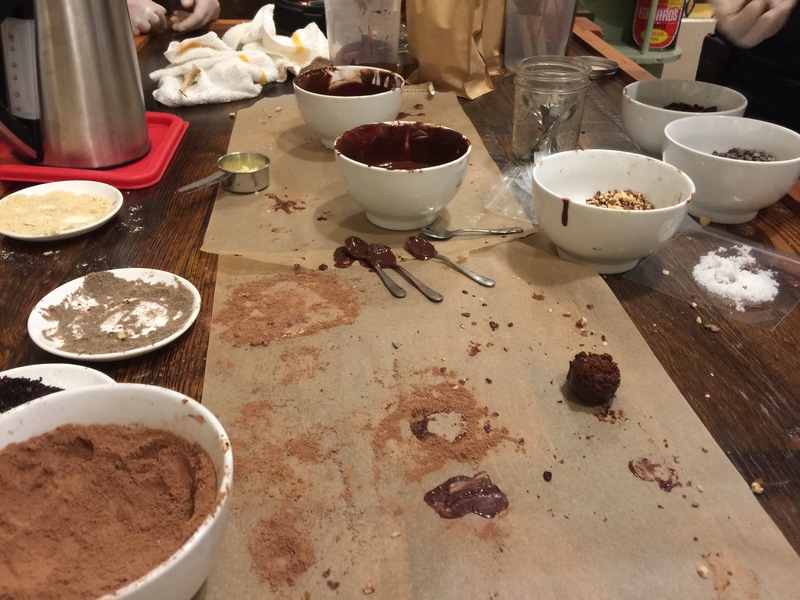 We learned how to flavor the ganache, what types of liquids to use, and what the ganache should look like while it’s being made. The ganache Brian prepared was made with cara cara oranges and ginger. I’m not a fan of citrus and chocolate together, but cara caras are my favorite kind of orange so this pairing worked for me, but I still couldn’t eat too much of it. 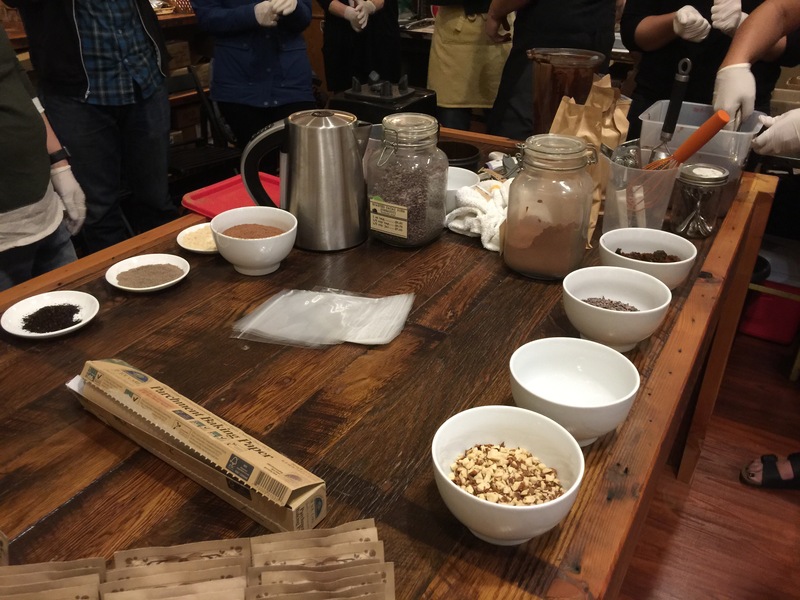 I would definitely want to experiment with making ganache with masala chai spices and boozy flavors. 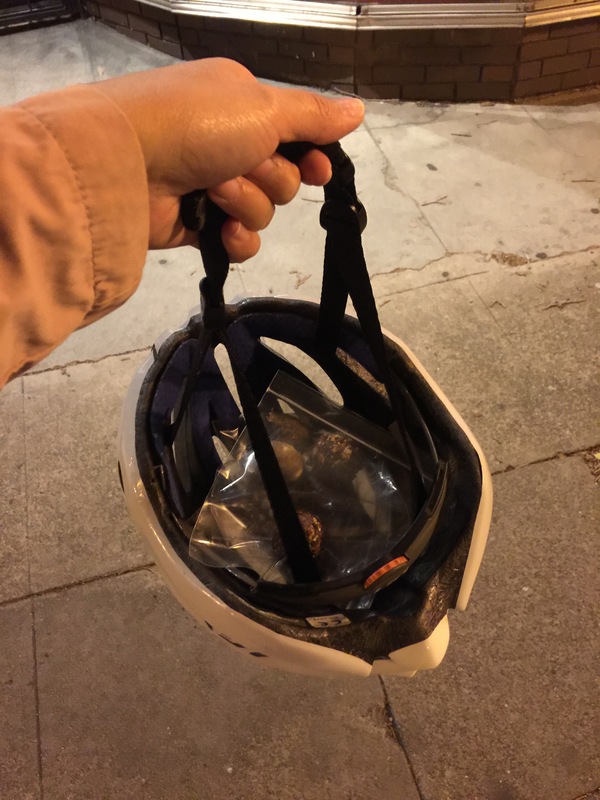 For safe keeping, I carried our truffles home in Hubs’ bike helmet. 😋 Safety first! 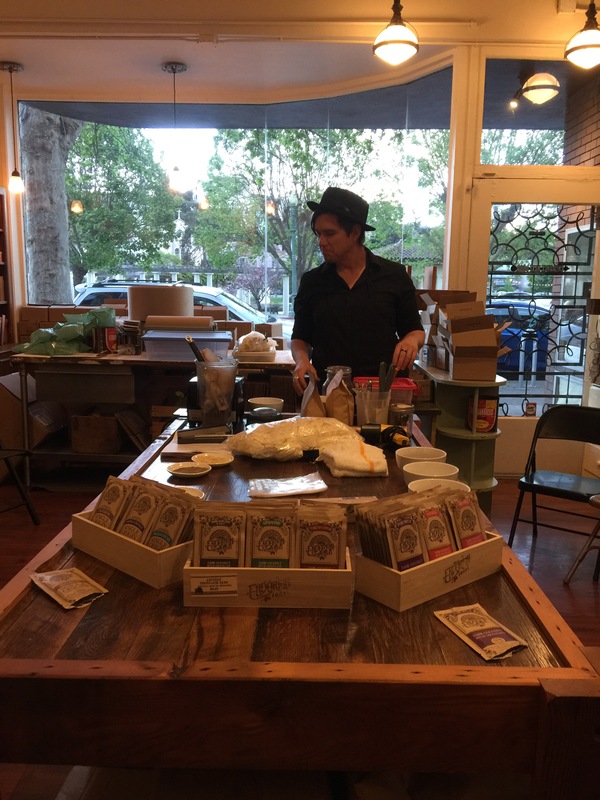 Thank you, Brian and Oaktown for a fun, informative, and tasty class! What’s on your culinary goal list? Share below! Oo! 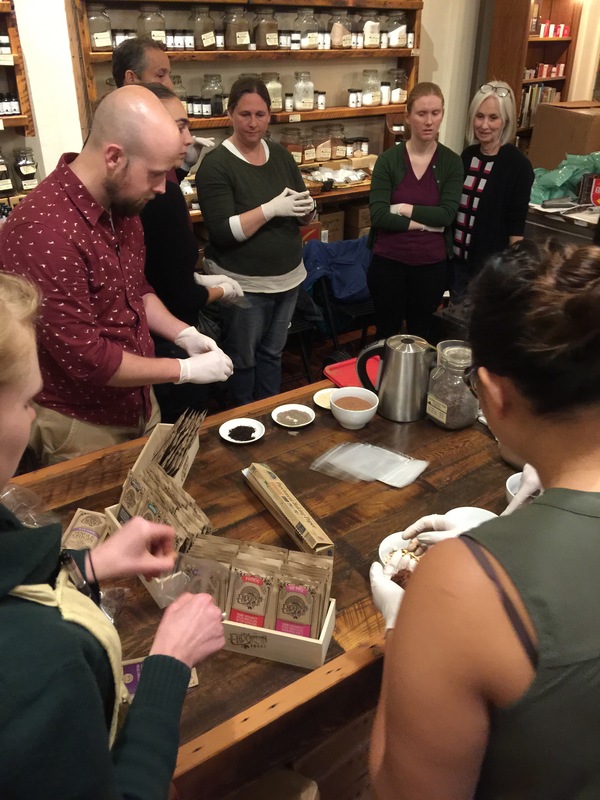 I’ll have to check out if they’re having the class again… Would love to attend this and learn all about the yummy goodness!